The dynamics between players, coaches and parents have become notoriously difficult to manage—and understandably so. The complexity that results from the intermingling of these relationships is due to the very nature of sports and competition. Generally speaking, the coach’s agenda is centered around the team, a player’s agenda is centered around themselves and a parent’s agenda is centered on their child’s wellbeing. This is not to say a player can’t care about the team or coaches always disregard the wellbeing of their players, but usually this is where priorities lie. To put it another way, the allegiances of all parties involved are usually directed (and rightfully so) toward their primary interests. These allegiances can cause coaches to be insensitive, players to show disrespect and parents to overstep their bounds. In youth sports, the majority of this friction could be laid to rest if all players received one specific thing from their coaches and parents. This one thing is a mindset as much as anything else, and if all future decisions can be measured against this principle, everyone will benefit. Players simply need honest, truthful, supportive communication from their coaches and parents. This may sound simple, but the impact can be dramatic. Here are three ways this type of communication will have a positive effect on everyone involved. Sports (especially when you have to deal with tryouts, playing-time and other similar issues) can be a great learning and growth experience for many kids. However, one of the biggest reasons athletes can have a negative experience with their coach or team is because their expectations are never met, since expectations are never set. If an athlete walks into a team with a particular set of expectations and the coach never communicates his/her expectations with that player, inevitably someone will be disappointed. Truthful communication about a coach’s expectations for both individual players and the team is one of the most important moves that diffuse toxic feelings between players, parents and coaches. 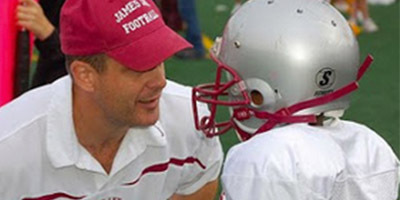 A coach should lay out expectations at the beginning of the season with the parents, as well as during the course of the season with the players. Players’ roles can change, expectations can shift with the ebb and flow of the season and a coach should do his or her best to be on the same page with the players regarding these issues. Truth is the best medicine when it comes to potentially toxic communication in youth sports. If a coach fails to communicate to a player how he or she sees that player fitting into the team, then the player is left to patch together a picture of his or her role. This guessing game can drive players crazy and undermine a coach’s credibility. Although it is more difficult to sit down with a player and tell them they might not be seeing a lot of playing time, ultimately this is the healthiest type of communication. This removes the ability of parents and players to blame the coach for any kind of deception or misconstrued information. In the same way, if a coach delivers truthful feedback, it is the job of the parents to do their best to honestly assess how their child could improve. Parents can offer feedback without undermining the authority of the coach and should do their best to empower their children to improve through hard work and skill development. The truth can sting at times, but ultimately, it is the best stimulus for growth and character building. Every directive from a coach to a player should come with a caveat on ways and opportunities to improve (should the player choose to). Positive communication begins and ends with the idea that regardless of how much playing time a player gets, the player’s inherent worth is never tied to performance. Sports are so much bigger than minutes played or baskets scored because they teach us about ourselves. Opportunities for personal growth abound in the world of youth sports, but coaches and parents alike need to prioritize providing these opportunities for their athletes, regardless of skill level. When honest, truthful and supportive communication becomes the norm, everybody wins.